We are excited to announce that the Boston Lykeion Ellinidon is officially a part of Artweek 2018! Vimata: A Greek Dance Workshop on April 28th will be part of an incredible, week-long lineup of events regionally and statewide. To join us at the workshop, register online now. This spring, the award-winning ArtWeek festival will be held April 27 –May 6. This year, the festival is expanding statewide, thanks to support from the Highland Street Foundation, Boch Center, Mass Cultural Council and Mass Office of Travel & Tourism, as well as many regional and community supporters. You can experience hundreds of one-of-a-kind events! 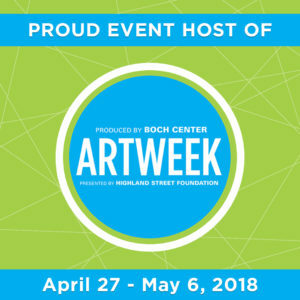 Check out the full event schedule at artweekma.org, follow @ArtWeekMA on social, and get ready to have fun exploring our Creative Commonwealth, of which the Boston Lykeion Ellinidon is a proud member.